With regards to Recreational Craft Directive 94/25/EC the Respect River houseboat design category is D Sheltered waters, which means that houseboat has designed for voyages on sheltered coastal waters, small bays, small lakes, rivers and canals when conditions up to, and including, wind force 4 and significant wave heights up to, and including, 0,3 m may be experienced, with occasional waves of 0,5 m maximum height, for example from passing vessels. 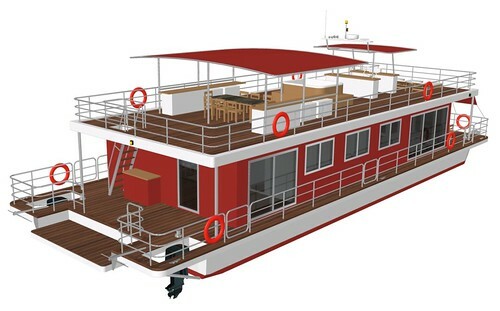 Respect River houseboat is designed to give her owner time, peace, space and enough amount of water. 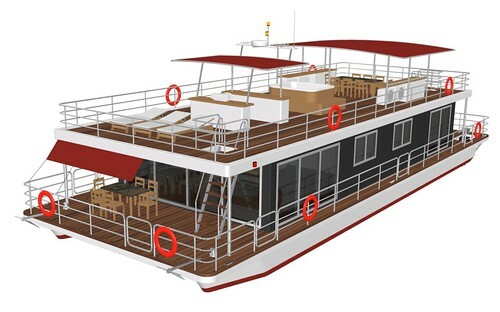 On the one hand, Respect River houseboat is a vessel: self-propelled platform-catamaran rigged with 2 outboards, bow and stern thrusters, up-to-the-minute equipment. On the other hand, she is a stylish, light and comfortable cottage with all round views. 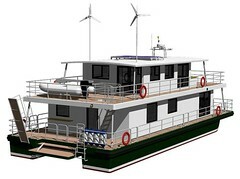 – application of pollution-free technologies and materials and application of future-oriented engineering solutions. 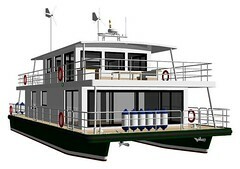 i am wanting to build or buy a nice house boat on a static pontoon . 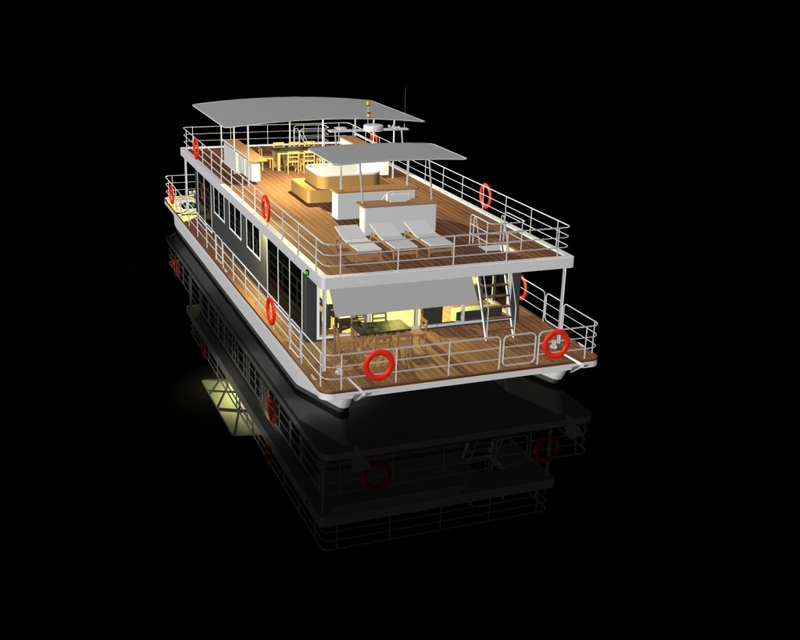 You can get precut details from one of the local suppliers with AutoCAD files we provide. We also can order kit for you in EU and ship it to Kenya. 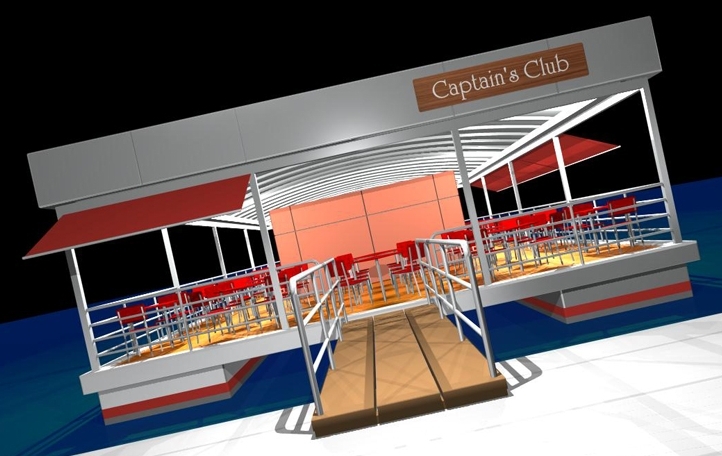 Tell more what is your dream floating house )).